This is one of the cooler articles I've seen lately... and it originated with a clarinetist. (That's somebody who plays the clarinet, in case you wonder.) I'll 'fess up -- I found out about her work because golfdigest.com wrote about it. Golfers often listen to music when they practice. And apparently both musicians and golfers approach practice all wrong -- at least, they do if they really want to see lasting improvement. According to the bio on an article by Dr. Noa Kageyama at bulletproofmusician.com, Dr. Christine Carter has played at a number of places like "Carnegie Hall, the ancient cloisters in Avignon France, the Sydney Opera House, the Heritage Theatre in rural Newfoundland, and a Baroque Palace in the South of Germany. 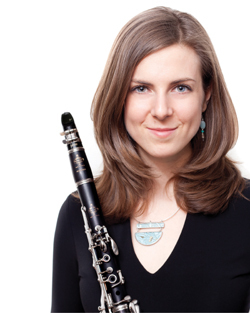 She completed her Doctor of Musical Arts at Manhattan School of Music, where she now teaches the Woodwind Lab." Those are pretty good credentials. What she says, in golfing terms, is that standing on the range and shotgunning balls with the same club until you get it right isn't an effective method for improvement. Musicians often practice the same way, playing a difficult passage over and over until they get it right. In both cases, you think you're making progress because you eventually get it right during practice. It sounds logical. "In a random practice schedule, the performer must keep restarting different tasks. Because beginnings are always the hardest part, it will not feel as comfortable as practicing the same thing over and over again. But this challenge lies at the heart of why random practice schedules are more effective. When we come back to a task after an intervening task, our brain must reconstruct the action plan for what we are about to do. And it is at this moment of reconstruction that our brains are the most active. More mental activity leads to greater long-term learning." So next time you head to the practice range, don't just hit wedge after wedge, then 9-iron after 9-iron, etc. Don't hit the same club twice in a row; instead, mix them up the way you would playing a regular round of golf. If you would normally hit each club 10 times, you can still do it; just don't hit the same club twice in a row. Dr. Kageyama's article, Why the Progress You Make in the Practice Room Seems to Disappear Overnight, can be found at this link. And the Golf Digest summary article, You've Been Practicing Golf All Wrong, and There's Science to Prove It, can be found here. But I'd advise reading them both, as the original article is far more detailed.